The attacks on the homes of leading Sinn Fein figures Gerry Adams and Bobby Storey represent a blatant attempt by dissidents to stir up trouble and to grab some more headlines. There have been attacks on the home of many people on both sides over the years, but the direct assault on Adams and Storey is also a challenge to Sinn Fein and its whole political approach. Such attacks are disgraceful and are to be condemned out of hand. Gerry Adams has asked to speak to the perpetrators, but as a seasoned politician he is no doubt aware these people have closed minds to any kind of dialogue and of progress through peace. This kind of dissident blindness and bloody-mindedness was also evident in Londonderry where they successfully orchestrated six nights of violence before cynically turning off the tap at the weekend. The aim was not just terrorising a small group of vulnerable Protestants. The Chief Constable George Hamilton has warned that this degree of violence could end in the death or serious injury to police officers. This also applies to any innocent person in the wrong place. Tensions have been running high, and still are. Therefore it is incumbent on the republican movement not to retaliate in kind to the dissidents who have attacked some of their leading figures, but to follow the lead of Gerry Adams in trying to develop dialogue, however difficult that might be. It is also unfortunate that a small group of people still wedded to violence can continue to hold a society to ransom. People who want to go back to the past and have nothing to offer for the future seem almost immune to community condemnation. However, that is no reason why we should not try to get through the message that violence of any kind is not the way ahead. 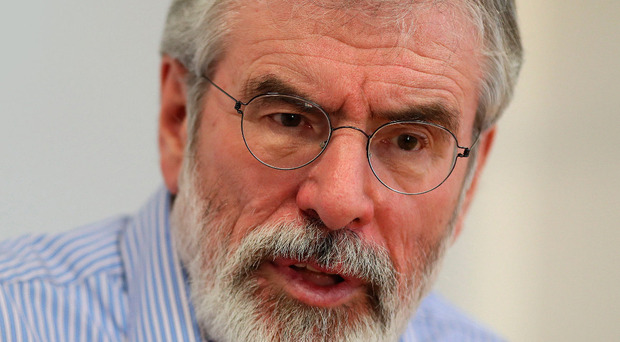 Despite all the difficulties, Gerry Adams, given his long-term involvement in republicanism, is more qualified than most others in the movement to argue forcibly the case for a cessation of violence. The appalling scenes in east Belfast on the Eleventh Night, and the PSNI's claim that the UVF were orchestrating the violence, is also proof that the problems do not lie on the republican side alone. The public is sick and tired of such thuggishness, and the message is clear that the vast majority of people want this to be stopped, and as soon as possible.